Surely you know about cosmic irony: "A type of irony in which Fate, the Universe, God, or whichever omnipotent force you choose, makes it their sole purpose to mess with your life. They like to screw you over and watch the mayhem while laughing at your misfortune." Like if Rush Limbaugh were suddenly diagnosed with sickle cell anemia. So the obliviously arrogant Renee Ellmers tempts cosmic irony by going on the radio and sneering at possible Democratic challenger, Clay Aiken, as someone who couldn't even come in first in American Idol, not to mention Celebrity Apprentice, so how the hell would he ever ascend to the Olympic heights of occupying a seat in Congress? 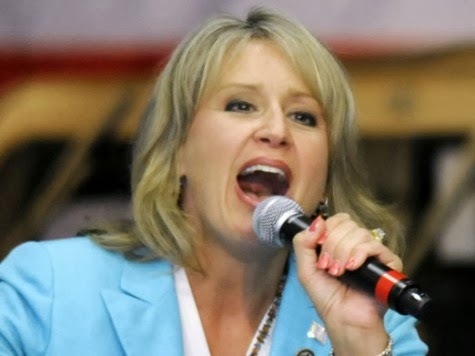 Can't you just write those headlines: "Gay American Idol Runner-Up Beats Ellmers Decisively." You invited it, Renee! from the headline to God's ear. May it be so.